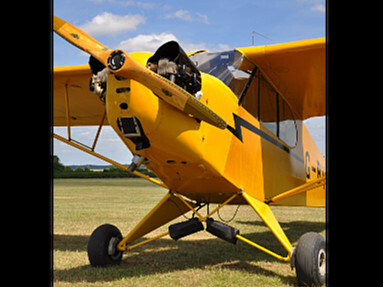 Piper J-3 Cub is maybe one of the most famous aircraft in our times. It is truley a workhorse! ln 1938 Piper introduced the improved J-3 Cub. Powered by 40-hp Continental, Lycoming or Franklin engines, the J-3 sold for $1,3OO. Engine horsepower was soon raised to fifty and reached sixty-five by 194O. 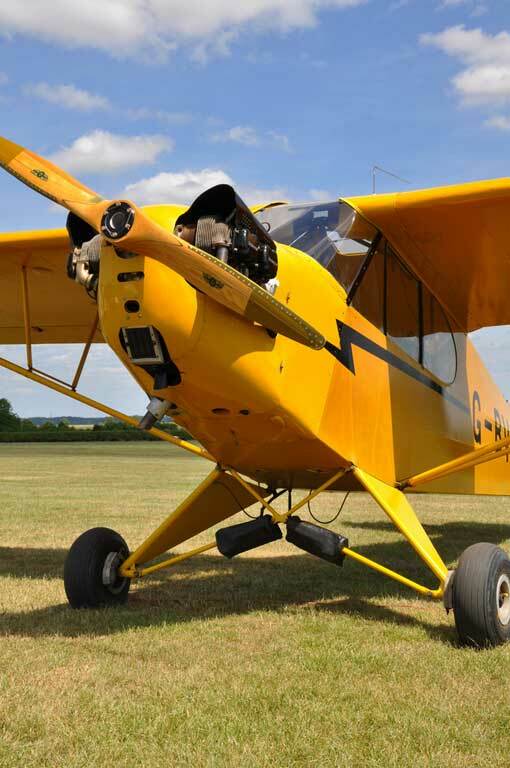 Piper also standardized a color scheme; just as Henry Fords Model T's were all black so Wiliiam Piper's Cubs were all bright yellow with black trim. 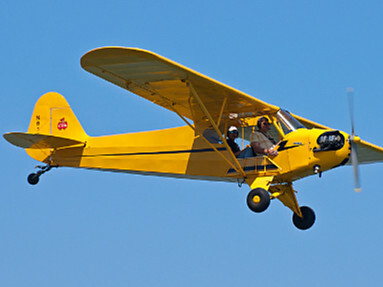 By 1947, when production ended, 14,125 Piper Cubs had been built. 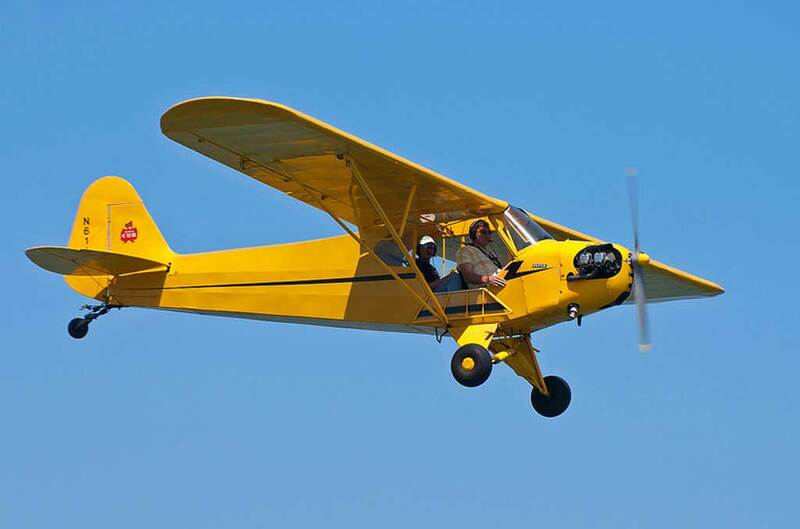 The J-3 is now finding an ever-increasing popularity among antique airplane buffs, and brand new Cubs are being constructed by homebuilders. 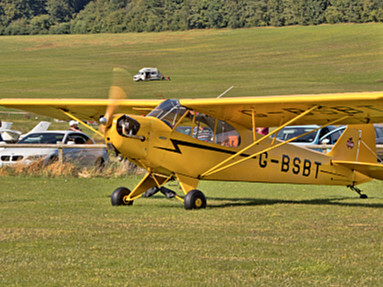 Both an excellent trainer and a delightful sport plane, which lends itself to lazy summer afternoons, the Cub might best be summed up by the words simple, economical. and above all slow. The high demand for J3 Cubs is because of three basic facts: they are very nostalgic, they are lots of fun, they are cute as a bug. (But this has caused a high market demand which has driven the cost for a nice J3 out of sight for the average person). 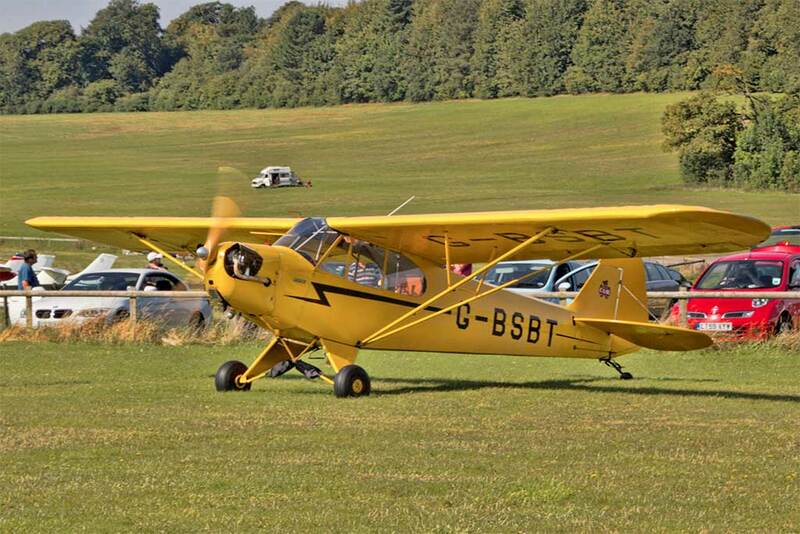 Editors note: The photo shows the Piper J-3 Cub with its classic paint scheme, yellow with a black arrow.